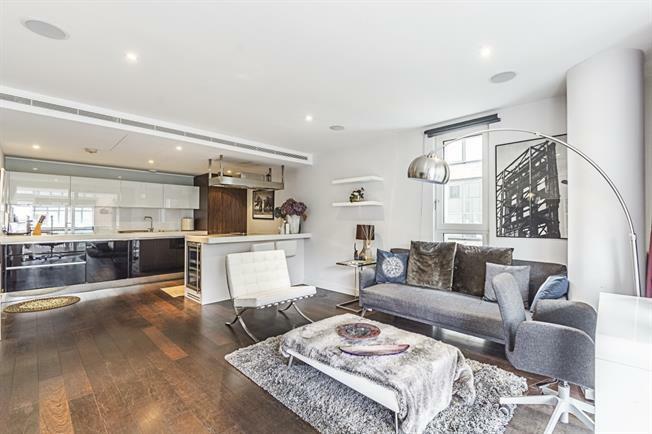 A superb two bedroom apartment on the third floor (with lift) of this well run portered development close to Sloane Square and Victoria. The apartment comprises open plan kitchen reception, access to a private balcony, master bedroom with en suite bathroom, further double bedroom and shower room. The apartment is offered furnished. There is an underground parking space available and the building offers 24hr concierge and on-site gym.